Do you know how hard it is to write a post about St. Patrick’s Day when you don’t understand the holiday? I don’t own a single article of green clothing, I’ve never had green beer, I don’t like traditional Irish food, and leprechauns have to be the dumbest thing I’ve ever heard of. When I was in second grade I tried to “catch a leprechaun” by building an elaborate trap out of Legos, Tupperware, and shiny things. I made the mistake of not telling my mom that I made this, and needless to say I didn’t even catch a fake leprechaun, that’s when I gave up on St. Patrick’s Day. Maybe in Ireland this has a special meaning, maybe Irish people in the states have a connection to this day, maybe one day I will like corn beef and cabbage, but today is not that day. The only thing I like about St. Patrick’s day is a good Irish Car Bomb, which could be considered offensive to the Irish I suppose. A shot of equal parts Irish whisky and Baileys, dropped into a three quarter glass of Guinness stout. If not taken within thirty seconds of dropping, you can expect this mixture to curdle into an unappetizing mixture that makes you wonder what your stomach is going to do when you drink one. While I do not know the history of this shot, but can almost guarantee this was not invented by the Irish, however has become a staple on St. Patrick’s Day. May the luck of the Irish be with you if you choke down more than 3 of these mixtures, and may what happens in the glass not happen in your stomach. While I do like a good shot at the bar, drinking all day at work is not acceptable. However drinking in a cupcake is acceptable. 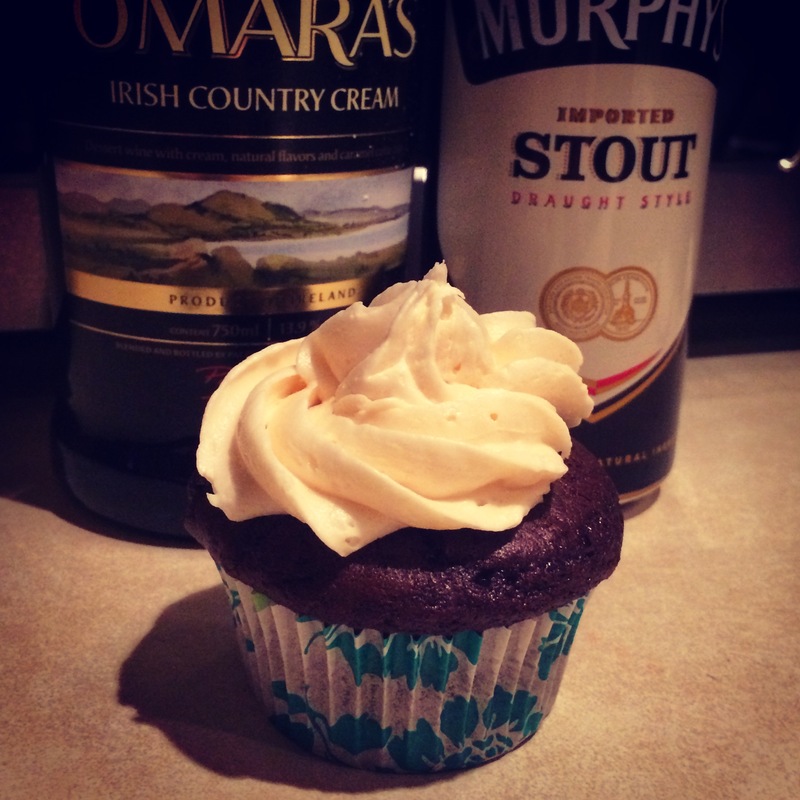 The Irish Car Bomb Cupcake is by far my favorite cupcake that I have made in my entire life. 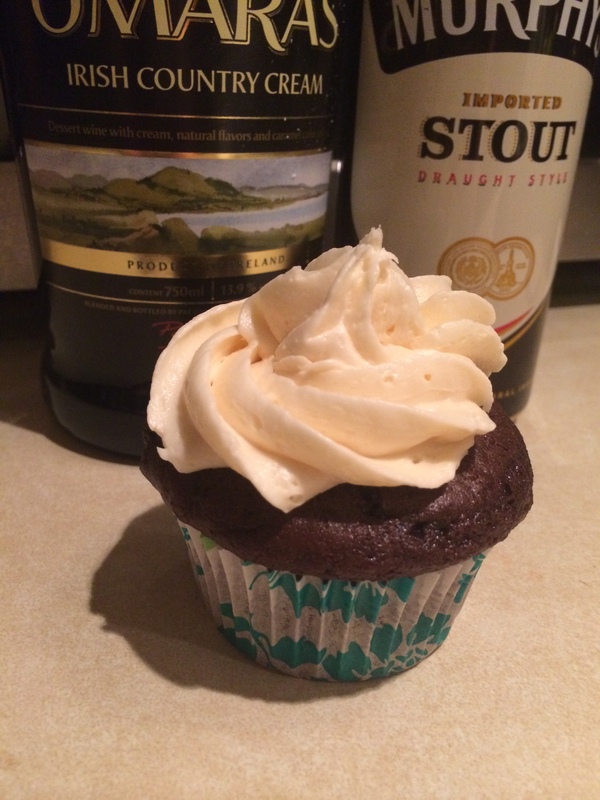 A stout cupcake with a whisky ganache filling and a Bailey’s buttercream frosting gets me every time. This is the one cupcake I will not share the recipe, if you want it made you can find your own recipe, however mine is the best. They look amazing. I really wish you would change your mind about sharing. Sorry, I am holding out to trade this recipe for someones cream puffs. Haha – one secret for another. Thanks for your reply. Fair enough…Perhaps I can trade you a recipe as well in the future. Cheers! 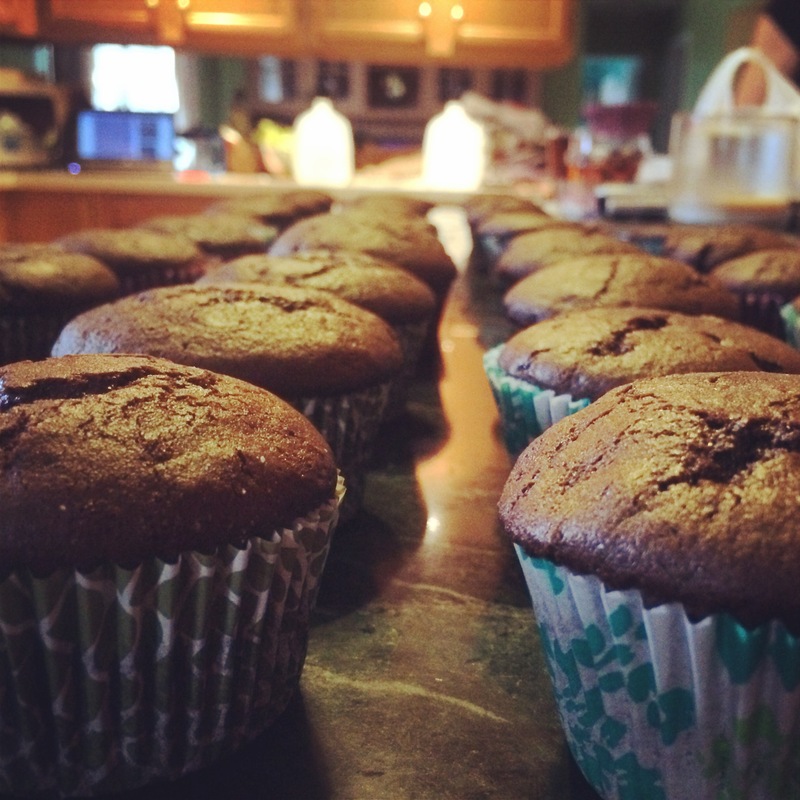 Haha that’s funny, what about me I like Irish food and stout;) By the way, your cupcakes looks tasty!